The Best New Jersey Blogs from thousands of New Jersey blogs on the web using search and social metrics. Subscribe to these websites because they are actively working to educate, inspire, and empower their readers with frequent updates and high-quality information. Also check out New Jersey Youtube Channels. 2.12 NJBIZ | New Jersey Business Journal, News, E-Newsletters. 2.61 JerseyShoreVibe | New Jersey Business, News, Entertainment, Lifestyle and Trends. New Jersey newsletter is a comprehensive summary of the day's most important blog posts and news articles from the best New Jersey websites on the web, and delivered to your email inbox each morning. To subscribe, simply provide us with your email address. New Jersey About Blog The Garden State's premier lifestyle magazine. It's your one-stop destination for all things Jersey. Subscribe to this magazine for latest news, activities, things to do and events in New Jersey. Facebook fans 36,862. Twitter followers 67,683. New Jersey, USA About Blog ROI-NJ is an business media company and the authoritative source for news and connections impacting New Jersey's economic movers and shakers. Follow this site to keep up with latest New Jersey business news. Facebook fans 632. Twitter followers 2,334. About Blog New Jersey Isn't Boring is dedicated to all the wonderful things that make New Jersey interesting. Facebook fans 48,230. Twitter followers 6,587. All World About Blog Your best source for quality New Jersey Devils news, rumors, analysis, stats and scores from the fan perspective. Facebook fans 1,595. Twitter followers 2,560. Jersey City, NJ About Blog Jersey Digs is a real estate news and marketing organization covering New Jersey with a focus on architecture, development, retail and listings. Follow this site to keep up with real estate news in New Jersey. Facebook fans 6,462. Twitter followers 2,242. About Blog nj arts maven is for reviews, announcements and information about northern and central New Jersey theater, music, dance, museum exhibits and activities for adults, kids and their families. New Jersey, USA About Blog InsiderNJ is a nonpartisan website dedicated to political news in the state of New Jersey. It brings you bold and insightful must-read real-time news for New Jersey's political and government insiders. Facebook fans 6,632. Twitter followers 3,860. New Jersey About Blog Jersey Family Fun promotes family travel, things to do in New Jersey with kids and places to visit in New Jersey. New Jersey family fun,events, activities and more all told through the pictures, videos, and stories from experiences of local parents like you. Facebook fans 21,198. Twitter followers 16,610. About Blog Mommy Poppins is website for parents who love to seek out the coolest, off-the-beaten-track things to do with kids. It shares activities that aren't just pleasant time passers but promise enriching experiences for your family. Facebook fans 18,266. Twitter followers 2,224. Newark, NJ About Blog NJPAC is the artistic, cultural, educational and civic center of New Jersey where great performances and events enhance and transform lives every day. Its mission is to enhance and transform the lives of children and families through arts education and help drive Newark’s revitalization. Facebook fans 74,784. Twitter followers 15,518. New Jersey About Blog CNBNewsnet is a community news website covering the South Jersey/Philadelphia region with a focus on Gloucester City, Audubon, Brooklawn, Bellmawr, Mount Ephraim, and Westville. 12. NJBIZ | New Jersey Business Journal, News, E-Newsletters. New Jersey About Blog NJBIZ is a New Jersey's leading business journal, providing 24/7 business news coverage, a weekly print edition and multiple daily e-newsletters. Follow this site to keep up with latest business news in New Jersey. Facebook fans 2,972. Twitter followers 17,606. The Garden State About Blog The Save Jersey Blog is the New Jersey's number 1 source for conservative news, commentary, analysis and humor. Facebook fans 15,700. Twitter followers 8,697. Jersey City, NJ About Blog chicpeaJC is a blog about all things food, fashion, events, art, lifestyle and much more in Jersey city. Facebook fans 8,265. Twitter followers 3,191. About Blog New Jersey Real Estate Report is a blog that provides real estate, economics and politics information. Hoboken, NJ About Blog City of Hoboken is a website that provides latest news and updates regarding bussiness, government and residents in Hoboken city of New Jersey. Facebook fans 36,802. Twitter followers 31,459. About Blog New Jersey Tech Weekly is all about New Jersey tech news, opinion, events listings & discussion on startups, venture capital, accelerators, tech meetups & more. Subscribe to get latest updates directly in your inbox. Facebook fans 2,079. Twitter followers n/a. San Francisco, CA About Blog This subreddit discusses everything about New Jersey which lets you easily talk to friends, view live stories and explore news. Facebook fans 1,218,240. Twitter followers 583,939. About Blog Mommy Univerisity blog is a blog created to provide parents with the tools and information needed to enhance their child's development in all areas like social, emotional, communication, motor skills and more. Facebook fans 4,223. Twitter followers 4,959. Fairfield, NJ About Blog New Jersey Business is an award-winning magazine and the Garden State's longest-standing business publication that provides timely news and information to help businesses succeed. Facebook fans 1,769. Twitter followers 2,932. South Jersey About Blog NJ Pen is a local news website covering the issues, events and people of suburban Camden County, New Jersey. Facebook fans 6,741. Twitter followers 1,208. Jersey City, NJ About Blog Jersey City Eats is a food blog dedicated to exploring and sharing all the great and diverse dining to be found around Jersey City. Facebook fans 2,253. Twitter followers 7,172. About Blog JCFamilies is a largest and fastest growing family/parents community in Jersey city and has been dedicated to serving and supporting families in the Jersey city. Facebook fans 10,881. Twitter followers 1,666. NJ About Blog WeatherNJ aggregates weather safety awareness throughout New Jersey and surrounding areas through actionable discussion while supporting great causes in the community. Checkout this site for latest weather conditions in New Jersey. Facebook fans 232,246. Twitter followers 22,279. New Jersey About Blog Food blogger that enjoys cooking all types of food as long as it's healthy and delicious. Facebook fans 3,517. Twitter followers 3,338. New Jersey About Blog ArtPride NJ advances, promotes and advocates for the arts as essential to the quality of life of every citizen and to the economic vitality of state. Facebook fans 4,332. Twitter followers 4,608. About Blog Welcome! I'm Kim, creator and author of Give it Some Thyme. This is our family food blog, cataloguing a growing collection of approachable, crowd-pleasing, and most-requested recipes for the everyday home chef. Here, past and present fuse deliciously into dishes you'll make well into the future. Everything you see has been made several times and taste-tested by a rather finicky panel of family and friends. Facebook fans 160. Twitter followers 22. Totowa NJ About Blog New Jersey Lawyers Blog is a Full service law firm including Business and Construction Law, Consumer Protection and Fraud law. Facebook fans 302. Twitter followers 30. About Blog Jersey Bites is a collaborative website of food writers in New Jersey. They write about restaurants, recipes, food news, food products and events. Facebook fans 21,631. Twitter followers 14,350. Sydney, New South Wales About Blog Expat Aussie In NJ share expat adventures in NJ, learn about relocation from their point of view, try and navigate the difficulties of everyday life in a strange land. Facebook fans 145. Twitter followers 2,915. New Jersey About Blog Hip New Jersey is a lifestyle series featuring the latest in fashion, food, trends, personalities and entertainment in New Jersey. Facebook fans 7,088. Twitter followers 8,206. Mount Laurel, New Jersey About Blog Parker McCay's blog offers legal alerts, case law updates and general items of interest to business owners and local government administrators in the state of New Jersey. Facebook fans 216. Twitter followers 419. Cape May, New Jersey About Blog Cape May news, lifestyle, events. Always passionate about Cape May, John Cooke has been a full time resident since 2004. You'll often see him downtown loading his Canon camera with pictures of sunrises, landscapes and Cape May visitors. John is a regular contributor to the Cape May Star and Wave and his work has also been published in Cape May Magazine and Exit Zero Magazine. Facebook fans 671. Twitter followers 3,280. Trenton, NJ About Blog New Jersey Policy Perspective drives policy change to advance economic justice and prosperity for all New Jerseyans through independent research, analysis and advocacy. Facebook fans 2,258. Twitter followers 5,260. About Blog Appellate Law NJ Blog focuses on New Jersey appeals, New Jersey appellate law and practice. Hackensack, NJ About Blog YWCA Bergen County is dedicated to eliminating racism, empowering women, promoting peace, justice, freedom and dignity for all. Facebook fans 2,451. Twitter followers 1,124.
southern NJ About Blog Jersey Girl Cooks is a blog all about Jersey food and different types of recipes made by Lisa. Facebook fans 4,607. Twitter followers 7,142. New Jersey About Blog The History Girl is a website that explores historic sites across New Jersey, the eastern seaboard and collecting antiques. Facebook fans 18,973. Twitter followers 1,497. Belmar, NJ About Blog The award-winning Belmar Beachcomber Blog is your local travel and tourism guide to the Belmar region of the Jersey Shore. Hand-picked dining, shopping, and sightseeing recommendations written from a local perspective. Facebook fans 814. Twitter followers 628. New Jersey, USA About Blog NJspots is a website showing what New Jersey is really made of by crushing stereotypes and sharing beautiful places around the Garden State. Facebook fans 1,041. Twitter followers 339. New Jersey, USA About Blog New Jersey Foundation for Open Government dedicated solely to improving public access to governmental records and meetings. Checkout this site to get latest updates on Open Public Records Act (OPRA) and Open Public Meetings Act (OPMA) in New Jersey. Facebook fans 635. Twitter followers 94. About Blog New Jersey OPRA Blog assists individuals, businesses and media entities in gaining access to government records. Ridgewood, NJ About Blog Tarvin Realtor's Ridgewood Real Estate Blog provides latest market trends and property listings as well as tips for buying or selling a home in New Jersey. Facebook fans 569. Twitter followers 41. New Jersey About Blog Hyperlocal news and beyond, from a positive perspective: Entertainment, politics, business, ethnic cultures as newsmakers, and the future of news media. Facebook fans 31. Twitter followers 61. East Brunswick, NJ About Blog New Jersey Divorce Lawyer Blog is specialized in divorce law and Family Law specifically in child custody, visitation rights, child support, restraining orders, adoptions, civil Unions and lawyer for creating a pre-nuptial agreement and alimony payments. Facebook fans 4,468. Twitter followers 788. New Jersey, USA About Blog Endangered New Jersey looks at the endangered and threatened wildlife, natural resources, historical preservation and environmental issues with a special focus on New Jersey. Greater Philadelphia Area About Blog NJ School Law blog is devoted to current developments in New Jersey education law affecting school districts, charter schools, students and employees. Facebook fans 157. Twitter followers 195. New Jersey and New York About Blog The New Jersey Employment Law Firm Blog represents employees in workplace, disputes against their employers, including matters involving wrongfull termination and more. Facebook fans 234. Twitter followers 100. About Blog Greg Caggiano blogs about food & spirits in his home state of New Jersey and his travels abroad. Facebook fans 202. Twitter followers 441. About Blog New Jersey Civil Settlements Blog is about collection of New Jersey civil lawsuits against government agencies, along with the settlement amounts. New Jersey / New York About Blog New Jersey Government and Law Blog is a blog about government and law news including municipal and education law in New Jersey. Facebook fans n/a. Twitter followers 8,702. Trenton, NJ About Blog NJ chamber promotes a vibrant business environment and economic prosperity through vision, expertise and innovative solutions. Find latest breaking news, events and legislation regarding business in New Jersey. Facebook fans 1,670. Twitter followers 16,447. The Great State of NJ About Blog The New Jersey Public Safety Officers Law Blog provides insights on labor and employment law, workers compensation and personal injury law. New Jersey About Blog Jersey Connservative Blog is a collaborative effort and its focus is on the New Jersey Legislature, the Executive Branch, the Judiciary and the state's 21 counties. Facebook fans 727. Twitter followers 203. About Blog Random notes on NJ government is a blog that provides news and updates of New Jersey Government. About Blog New Jersey OPRA Law Reporter blog provides New Jersey public officials with up-to-date information about OPRA legal developments and also news and analysis of OPRA cases and legal issues. About Blog Somerville blog offers news and insight on issues of Family Law. Greater Philadelphia Area About Blog NJ Workers Comp Blog is about providing clients with superior legal services in a prompt manner. Facebook fans 160. Twitter followers 197. Ridgewood, NJ About Blog Ridgewood Moms celebrates the lifestyle of women through the ever-evolving stages of motherhood to help empower, inspire and connect all moms. Facebook fans 9,358. Twitter followers 1,485. 61. JerseyShoreVibe | New Jersey Business, News, Entertainment, Lifestyle and Trends. About Blog JerseyShoreVibe is a site where you'll find the latest Jersey Shore news, nightlife, festivals and events along the Jersey Shore. Facebook fans 1,318. Twitter followers 1,399. Newark, NJ About Blog New Jersey Devils Blog is a fan-run site that covers the New Jersey Devils, Binghamton Devils, Metropolitan Riveters and National Hockey League. Facebook fans 6,456. Twitter followers 4,487. About Blog is a trusted advisor and also well-versed in solving the myriad legal matters and concerns that support the business objectives of clients. Facebook fans n/a. Twitter followers 3,519. About Blog New Jersey Health Care Blog is the news source for all healthcare news, laws and regulations. About Blog The Legislative Blog of the NJ League of Municipalities deals with local government affairs and represents local government before the State Legislature, media, the courts and provides services and resources to its membership. About Blog A New Jersey Farmer Blog is about the democracy, opinions and commentary in New Jersey. Toms River, Eatontown, New Bru About Blog NJ Child Custody Attorneys focuses on child custody and provides the best legal services to all clients through open communication, honest advice and aggressive representation. Facebook fans 472. Twitter followers 1,131. 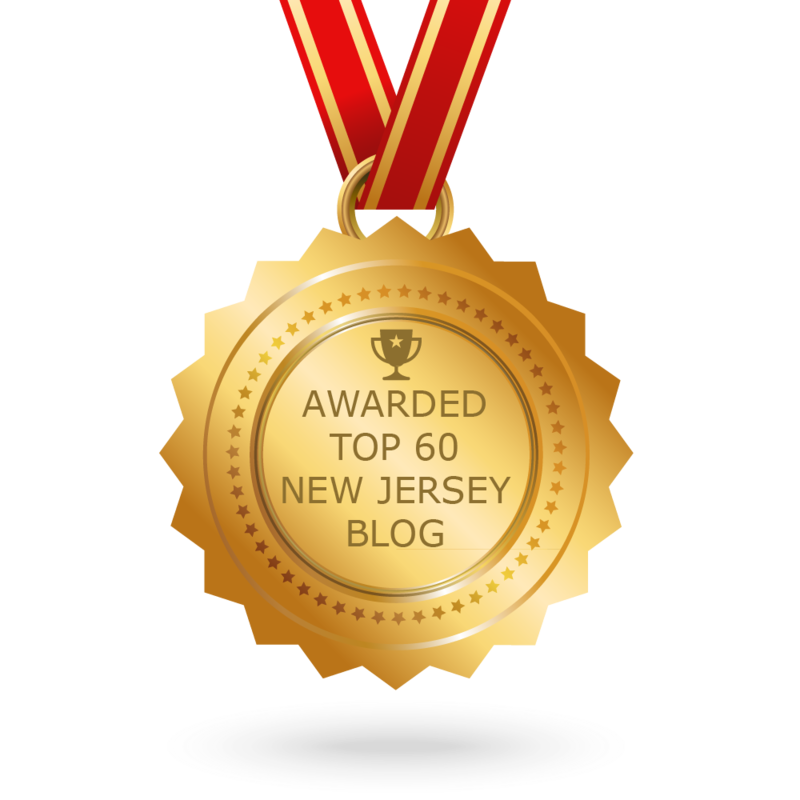 CONGRATULATIONS to every blogger that has made this Top New Jersey Blogs list! This is the most comprehensive list of best New Jersey blogs on the internet and I’m honoured to have you as part of this! I personally give you a high-five and want to thank you for your contribution to this world.